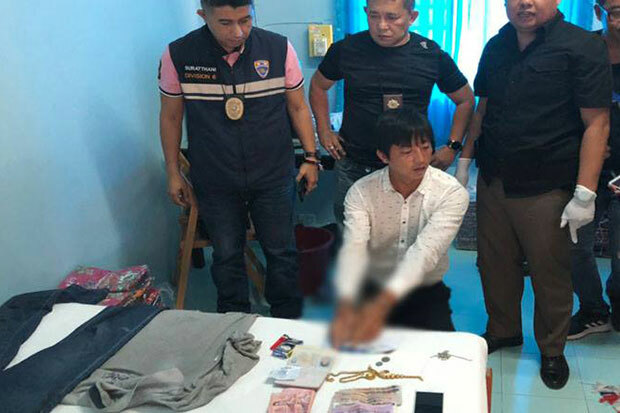 A young Chinese man was apprehended in Surat Thani after an elderly woman was murdered and valuables stolen from a Bangkok condominium early Tuesday. The 29-year-old suspect, Wu Zhuoming was arrested by immigration police at a pier in Surat Thani as he was about to board a boat to Koh Samui in this tourist province. He had reportedly taken a bus there from Bangkok. 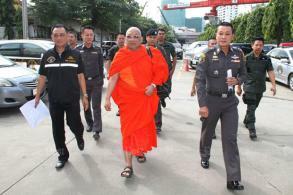 He was initially charged with murder, and was to be handed over to police in Bangkok. Araya Sapsawan, a 70-year-old Thai-Chinese woman, was found dead in her condominium on Soi Phahol Yothin 52, in Bangkok’s Sai Mai district, in the early hours of Tuesday, Thai media reported. Police found bruises around her neck, but there were no traces of a struggle. Relatives told police that her 3 baht-weight gold necklace and a gold ring were missing. They said a Chinese man contacted her two days ago to return money he had stolen while renting a room from her two years ago. The man had stolen her ATM card and withdrawn 400,000 baht in cash, said Pol Col Amnart Intharasuan, chief of Bang Khen police station, who inspected the body and questioned the victim's relatives after being alerted at around 1am on Tuesday. 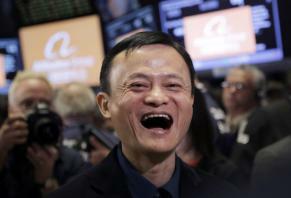 Footage from closed-circuit television cameras captured the Chinese suspect leaving the victim’s room. The man was seen carrying a rope. Police investigators then distributed copies of the suspect’s image to all immigration checkpoints across the country, leading to his arrest in Koh Samui.